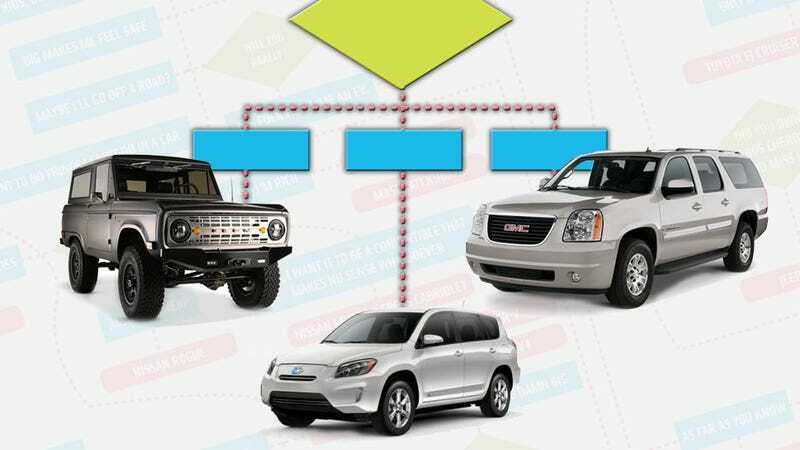 Some of you may remember the new car-buying flow chart I made a bit over a month ago. Between the comments suggesting I seek out my clergyperson, I noticed many of you wanted a similar chart to help you pick a new SUV. As always, I listened, and am here to help. Once again I strapped on the VR helmet and pulled on the repurposed Nintendo PowerGloves that I use to access the Jalopnik Mainframe, re=calibrated the settings for American-market SUVs and crossovers, and got the results. 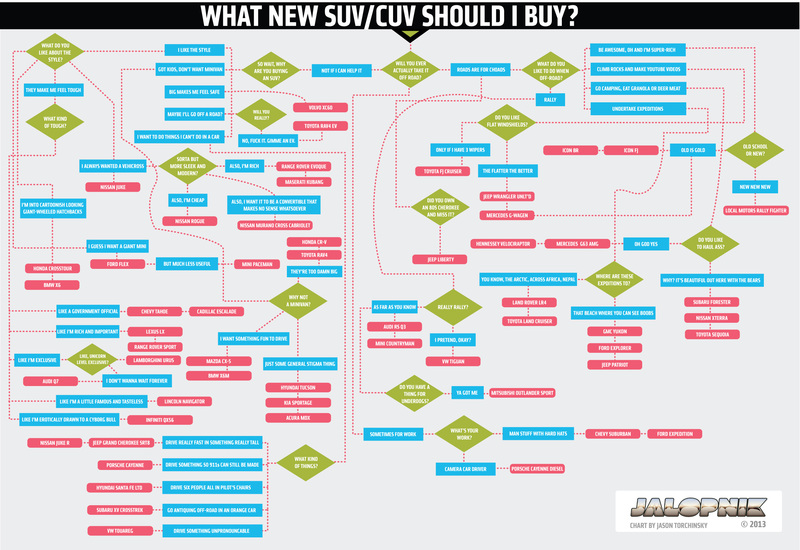 Like before, if you answer the questions in the green diamonds, the chart should guide you to the SUV you need. It's science! So, give it a try, and let me know how it works out for you. Contact me directly for properly-sized versions for a full-back tattoo.